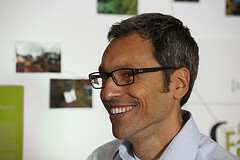 Nevin Cohen is a professor of food policy at The New School, New York City. His research focuses on urban food systems, food and health policy, and innovative strategies to support urban agriculture. He has a Ph.D. in Urban Planning from Rutgers University, a Masters in City and Regional Planning from Berkeley, and a BA from Cornell.